Matteo Ricci on tract for sainthood? This is old news by now, but the Agenzia Fides reported back in late January that the cause for canonization for Father Matteo Ricci is again active. Ricci always held a special place in my imagination partly because he was (and continues to be) maligned by ideologues. I noted Ricci’s 400th anniversary on this blog back in May. The sainthood cause for 16th-century Jesuit missionary Matteo Ricci was reopened on January 24, following Mass at the Cathedral of San Giuliano in the diocese of Diocese of Macerata-Tolentino-Recanati-Cingoli-Treia, where he was born. 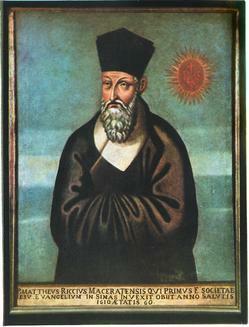 Father Matteo Ricci was born in 1552 in the Marche town of Macerata. 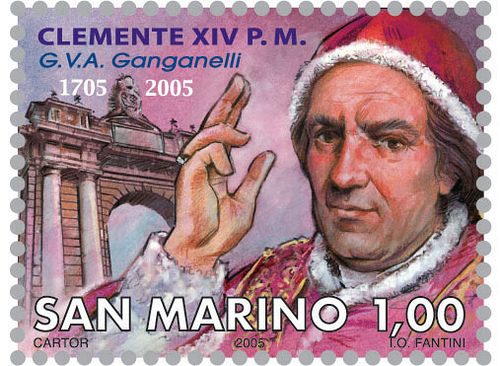 He entered the Society of Jesus and was missioned by his superiors to study mathematics and astronomy before leaving for the Far East at the age of 26. Ricci’s itinerary included four years in Goa (west coast of India) before traveling to China. On mainland China he settled in Zhao Qing in the southernmost Guangdong Province; he was proficient in studying Chinese. During his time there he produced his global “Great Map of Ten Thousand Countries,” which revolutionized the Chinese understanding of the rest of the world. A copy of the map is on display at the United States Library of Congress. In 1589 Father Ricci moved to Zhao Zhou and began sharing European mathematical discoveries with Chinese scholars. He became known as “Li Madou” and was renowned for his extraordinary memory and knowledge of astronomy. He eventually became a member of the court of Ming Emperor Wanli. In 1601 he was allowed into the Forbidden City of Beijing, where he worked until his death in 1610. Ricci’s postulator (the person promoting the inquiry for the sainthood) is Jesuit Father Anthony Witwer, who is coordinating and supervising a historical commission that has been established to collect all the writings and documents attributed to Father Ricci, along with those that reference him in publication. The commission’s work will conclude with a critical study on the writings of Matteo Ricci along with a judgment as to the authenticity and value of documents on him. 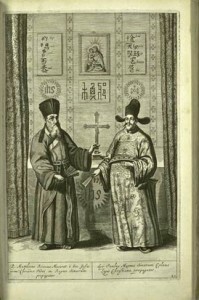 Anthony E. Clark’s article “Weaving a Profound Dialogue between West and East”: On Matteo Ricci, S.J., for Ignatius Insight is helpful for a much broader perspective. Plus, Scranton University hosts a blog entry on Father Ricci that shows a bit his depth of character that you may find interesting. Today is the Feast of Saints Edmund Campion and Robert Southwell. It is also the launch date of a webzine venture called the New Jesuit Review — guys trying to do the right thing. So far, so good. God bless them for their effort. Perhaps editors can attract other good Jesuits to write for them. Time will tell if they can maintain the momentum of publishing worthwhile literature, unlike some other notable Jesuit sponsored publications. Andrea Pozzo: recognized 300 years later at Study Congress at the Gregorian Univ. born November 30, 1642 and died August 31, 1709.
on Brother Andrea Pozzo’s life can be read here and here. Today is the 236th anniversary of the promulgation of Dominus ac Redemptor, the papal bull of Pope Clement XIV (a Conventual Franciscan) suppressing the Society of Jesus (the Jesuits). In this bull the pope dissolved the Society without condemning it because it is said that he did revere many of its members. Hence, the suppression had nothing to do with enmity (Franciscans vs. Jesuits) as much as it had to do with the significant criticism the Society faced and the likely realization of the threat of Church schism if the pope didn’t do something with the Jesuits. Faced with the pressure of a fragmented Church, Clement did what he had to do. By the time of this unusual papal intervention, the Jesuits were expelled from Brasil, Portugal, France, Spain and Parma. An annual event at graduation time of the non-Jesuit students at Rome’s Gregorian University is a wreathe laying ceremony at Pope Clement XIV’s grave at the Basilica of the Twelve Apostles. There newly graduated students offer a prayer asking the pope to intercede before God to have the Jesuits suppressed once again. One wonders about the efficacy of Clement’s ability to ask the Lord for a favor. For those with a deeper curiosity I could recommend Jonathan D. Spence’s The Memory Palace of Matteo Ricci.